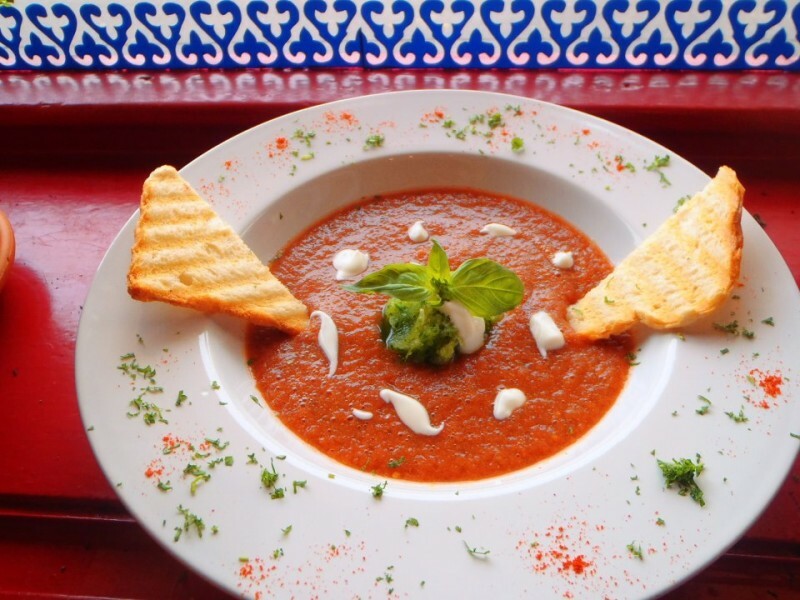 Tucked away at the very end of one of the longest streets in the city centre, Vegan bar is definitely worth the short walk. Its journey to stardom began a few years ago, when its proprietor and chef decided to share his love for homemade vegan food with the rest of the world. He cooks simple and delicious fare in a pretty straightforward fashion; there‘s nothing too fancy or intimidating about the basic soups, sauces, vegan patties and cakes. 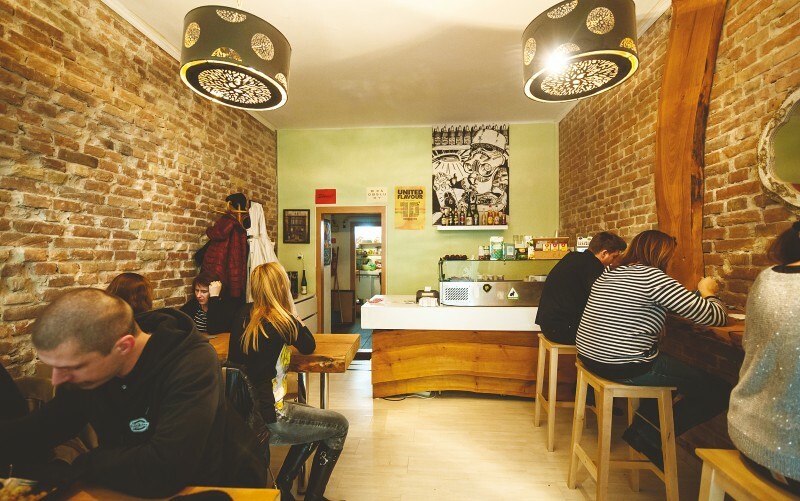 Same with the décor: the tiny, no-nonsense space with a hint of punk- rock feel offers a welcome departure from the often overly decorated or boringly sterile restaurants in the city. And the student- friendly prices make for an unbeatable deal. 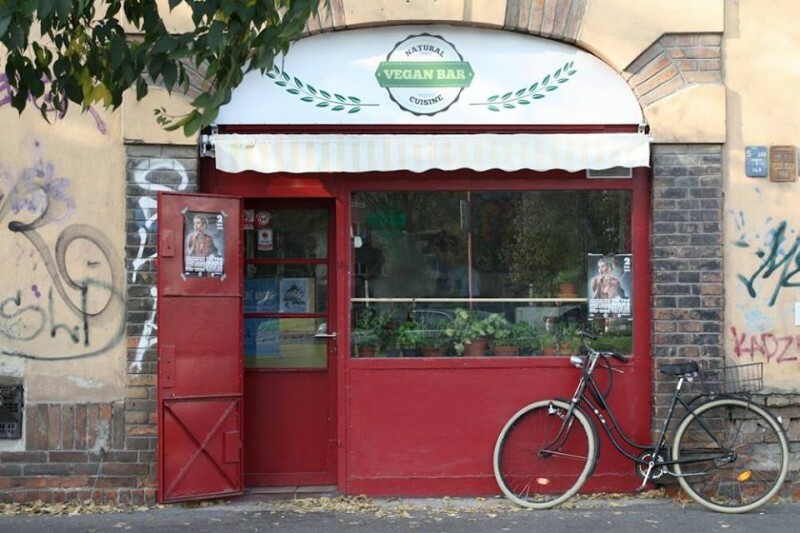 Vegan bar prepares only one full meal a day (soup + main + dessert) and at times sells it all out before the closing time, so get there early to avoid disappointment. You can spend your time waiting in line happily chatting to local vegan youth. Closed on weekends.